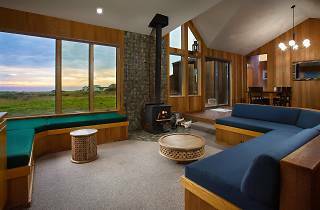 The 70s chic, wooden shingled, ranch-style Sea Ranch Lodge sits isolated on 52 acres of untamed Sonoma coastline. Every one of 19 recently renovated rooms have Malm gas fireplaces, California king-size beds and a view of the roiling ocean below. Not one has a TV. The Lodge also has a small art gallery, in-house boutique and the Black Point Grill, where you can eat seasonal fare and sip from their extensive wine list in front of a wall of seafront windows. 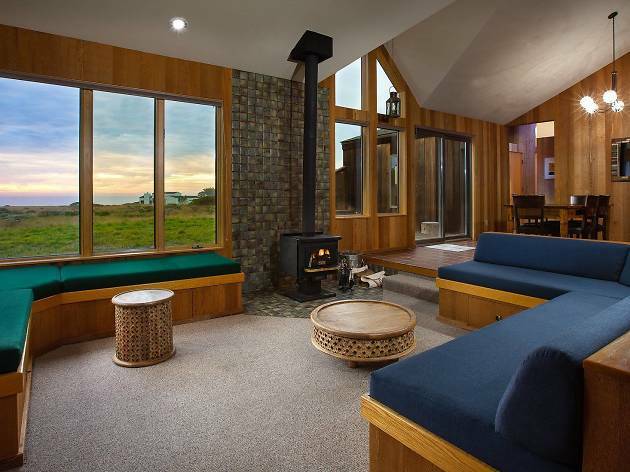 The Sea Ranch Lodge is secluded on the northern edge of the Sonoma Coast, almost 30 miles from Jenner—the perfect place to escape for a weekend or a week. Time Out tip: From the walking trails along the bluffs just outside the Lodge you may glimpse (or at least hear) whales, sea lions and other spectacular sea life.